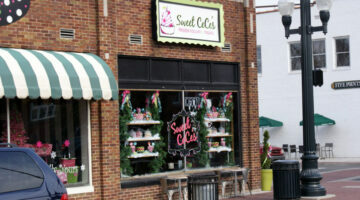 The newest business to open in Franklin’s historic downtown is Sweet Cece’s. They offer self serve yogurt with flavors that change weekly. Here’s a review of my first visit to Sweet Cece’s Frozen Yogurt & Treats. 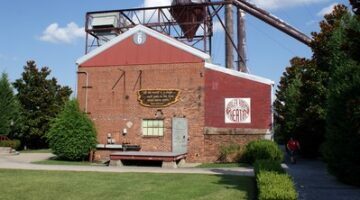 Boscos In Cool Springs – Great Food & Good Beer! 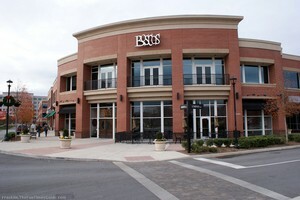 The Cool Springs Boscos is located off of Carothers in the Meridian business complex in Franklin, TN. Here’s why I like the Boscos in Cool Springs better than the Nashville Boscos. I have never stood in line at the mall to get my son’s picture taken with Santa and I never will. I have been spoiled by the staff at A Private Gathering in Franklin. 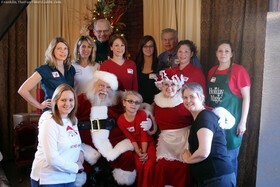 They take Santa pictures, family portraits, baby pictures, and more! The reason that I tried Sweet and Sassy Salon for Kids in Cool Springs was because I didn’t have good luck with Snip Its — another hair salon for kids in Franklin, TN. 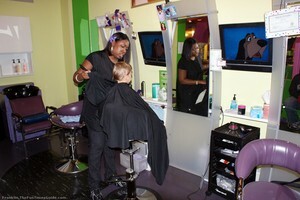 Sweet & Sassy takes appointments and does little boy haircuts too. Today, it’s called Divas & Dudes – the family salon! My advice to new parents is to NOT try to do it yourself when it comes to making your child’s hand prints and foot prints. Now I encourage new parents to go to Precious Prints in Franklin, TN to get their baby hand prints and foot prints made. 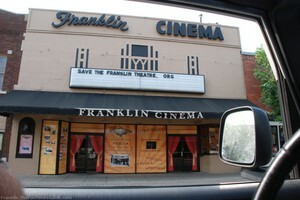 After 70 years of showing movies in downtown Franklin, the Franklin Cinema closed its doors in January 2007. Since then, efforts have been underway to save the Franklin Theatre. Most residents look forward to Franklin Tennessee’s downtown movie theater re-opening soon. At Maggie Moos, first you pick your ice cream. Next, you pick the mix-ins — candy, fruit, or nuts. Then, they take your treat combo to the cold marble top and fold everything together by hand. 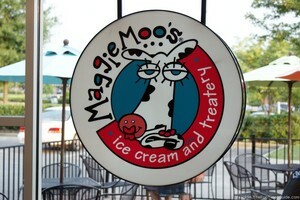 See why I like Maggie Moo’s best. 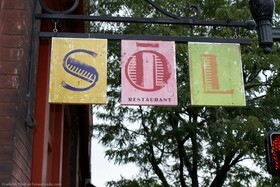 SOL is an upscale mexican restaurant in downtown Franklin with great SERVICE! It’s a good time, and also a sure way to get my husband out on a date night 7 times a year!